The Rebel Sweetheart. : Spotlight | Etude House Moistfull Collagen Line. 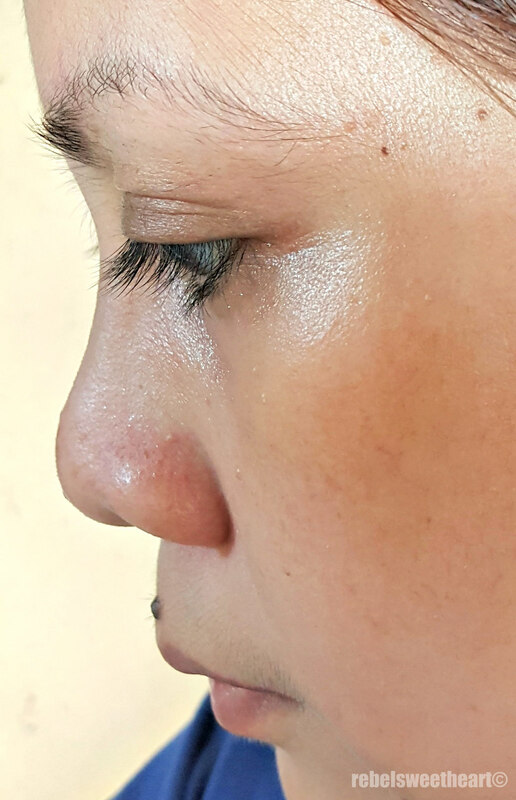 When my husband learned about my obsession with all things collagen, he got me an all-too-perfect gift a few months back - the Moistfull Collagen Line from Etude House. And not just one box set, but two! The bigger box set contains full-size bottles (180 mL) and sample size bottles (25 mL) of the Moistfull Collagen Freshener, Emulsion, Cream, and Sleeping Mask. The smaller box set contains travel size bottles (50 mL) of the Freshener and Emulsion, and a full-size tub (75 mL) of the Cream. Both boxes contain 20 mL tubes of the Oh Happy Day Collagen Hand Cream. I reckon the smaller gift box is free, because you know how generous these Korean cosmetics brands are with freebies and samples, especially if you're buying them from shops at Myeongdong. Moistfull Collagen Skin Care Gift Box. Now here's a rundown of the products. The Moistfull Collagen Facial Freshener is a mild, alcohol-free toner that gently removes makeup residue, oil, and grime that cleanser may leave behind. You apply this after cleansing, massaging onto your face from center out. Made with baobab tree extract and marine collagen, this toner keeps the skin hydrated without the tight, uncomfortable feel. It has a unique, gel-like texture that absorbs fast and doesn't feel heavy on the skin. It doesn't sting, and its light, fresh scent is oh-so-wonderful. A light and hydrating moisturizer, the Moistfull Collagen Emulsion gives the skin penetrating moisture to make it look firm and healthy. This product also increases skin elasticity and reduces the appearance of fine lines. The emulsion has a thin, milky texture which absorbs moderately fast on the skin. It's gently moisturizing and does not feel heavy on the skin, which makes it perfect for day time wear - even on hot summer days like today. On the other hand, the Moistfull Collagen Cream is a rich, highly concentrated moisturizer that penetrates deep into the skin to hydrate, firm, and improve its dermal structure. It comes in a tub, sans the spatula. Unlike the emulsion, this one has a thicker, gel-like texture. It takes a tad longer to absorb, but goes on smoothly and feels light on the skin. This is actually my favorite product in the entire line, as it gives my skin that nice, bouncy texture. I usually slather this on at night before I go to bed, and I love how I wake up with super soft and smooth skin the morning after. These three products have been part of my skincare regimen for the past eight months, and I love how the Moistfull Collagen line did (and still does) wonders for my skin. I can now actually leave the house bare-faced as my skin looks healthier than ever, complete with that dewy glow. Despite having sensitive skin, I have not had issues with these products since I started using it. Otherwise, I would have not bought the 10th Anniversary Edition of the Moistfull Collagen Cream (it comes in a pink tub) when I went to Korea last December. I paid 15000 won for it, which is around $13 or Php 600 when converted. The set above (as in both boxes) is actually cheaper, as my husband paid only 33000 won (around $28 or Php 1300) for it. I haven't used products like this. The whole process sounds great, perfect for hydrating your skin. Thanks for sharing your experience! That looks so really great! I would love to have one. I will check that out!